And the good news is that becoming wealthy it is really possible, even if you start from a very small account (hundreds of dollars). No SECRETS to share here, what works in other fields works in trading as well: hard work, a positive attitude to learn, an open mind to accept ways of thinking differently from the majority – 95% of traders lose consistently – and consistent results, not necessarily large. Let me first tell you how a typical starting or inexperienced trader looks at the gains and risk part of the equation of successful trading. Keep in mind that when you trade professionally, you will have a lot of trading opportunities and you need only to make a 3% to 5% every month. When students and followers hear this statement they are not very comfortable with it. They understand the importance of being well capitalized to trade the markets, and the typical answers I get are “I need to have much higher monthly returns than that” or “that may be a good way for rich men, 3% to 5% is not good for deposits like mine”. These expressions hide the highly dangerous seed of greed and fear of losing opportunities, that is typically responsible for the large percentage of losing traders still in today’s market (near 95%). This way of thinking leads to ‘not acceptance of risks’ which is at the roots of why people cannot stick with a position, even when it promising and well initiated, or do not use stop-losses (current recent statistics from a large North American broker shows that is still 22% of Forex traders). But having “reasonable” monthly returns (which, by the way, could be much higher than the 3%-5% mentioned above), risking 1% or less at each trade, is the right way to go. Ask me why? I have learned this the hard way! When you reach consistency and say make a 5% a month, you can start adding to your account, with time. Initially a $20,000 account would only yield a ‘dismal’ $1,000 in monthly profits (5% of $20,000). But then you can commit to saving more – and a for a good reason – and even improve your monthly returns, and keep building your capital. In less time than you believe you will have a sizeable account. Is it really important if this takes a few years ? (if you choose carefully your mentor, this could go down to months). Not, it is not! Here is the reason. Even if you are about to retire or are retired, it is still a good time to start. 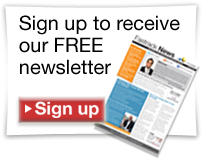 Trading Forex, or any other asset class, is an “evergreen” skill! You can profit with it for the year to come! It is a skill you can teach to your children and grandchildren and that will keep you going and mentally active, and wealthy. When you remove the emotions from trading, by using methods like the FibStalker method which incorporates the psychology of trading (intended as the average traders’ response to price, taken in aggregate) you can enjoy trading even if you are under aspirins treatment to lower the risk of heart attack! What if you are younger? More power to you! You have even more time to enjoy the learning and to practice the skills. It’s not difficult, although maybe not anyone can do it. But if you have a sufficient does of determination, willing to learn and patience, the skills is yours to acquire! Now here is the important mental shift that is necessary and the mean reason why I wanted to write this article. This is SECRET, if you want, the way you have to mentally approach trading. When you have few hundreds in your account, say $500, a 5% is only $50. Not something you can bank on or that can justify the time you dedicate to trading. However this is the correct way to think of it. When you become consistent and start making 30%-40% a year or even more (I worked with a mentor who made 400% in one year), and you can prove that you are consistent that’s where things get interesting. If you can show 9 months of regular consistent results and an additional 6 months live, you will start seeing interest from investors to having you trade their money. So if there is a SECRET, when it comes to learning trading starting from limited resources, this is it. Learn the ‘evergreen’ skills of trading and you or other people will eventually commit money into your decision process. In fact, our job as traders is to mind the decision process, is to to make sure we take quality decisions. This is what there is to trading, really. Forget the forex robots and fully automated trading and – most EA (the “Expert Assistants”), forget the 100% of returns monthly. That is not going to happen. For every guy or gal who gets lucky there are tenths of thousands who follow the dramatic, losing fate of the average traders. Do you want to trade or do you want to gamble? If you picked the second, you should really unsubscribe my email list. Seriously! On the opposite, do the right thing! Invest in your education because when you will be proficient and consistent with regular gains, the money you have in our account will not be an obstacle. And if you decide to do so, please review my work before you take a decision and let me know what you think. Whatever the size of your account, it will not prevent you to express the fully potential of your newly acquired, evergreen skill. As Benjamin Franklin would say: “an investment in education pays the best interest”. In this context he would probably also say: “you may delay, but time will not”. I want to briefly talk to you about a recent topic on which I have prepared and published a research paper for SIAT/IFTA. 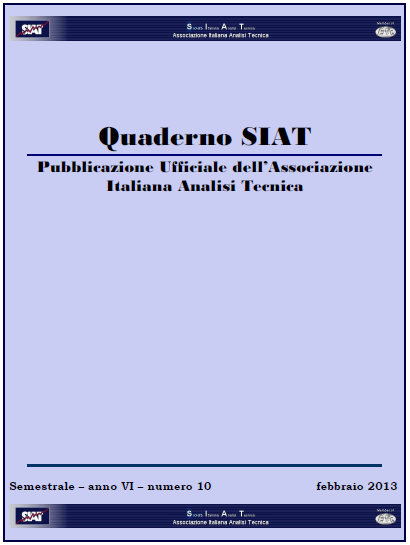 The research paper I have recently published on the SIAT Journal, the Italian Society of Technical Analysis, member society of the larger IFTA (International Federation of Technical Analysts) includes a review and critique of common and traditional uses of Fibonacci retraces, and discusses some of the problems related to both the way numbers are derived and their use. Problems like the way extensions, expansions and projections are used, the concept of convergence or confluence (also known as “clustering”), the inversion of semantics and others are explained with real trading examples. In the second part, the opportunity to use Fibonacci retraces with a different objective is investigated. Such objective is no longer, or I should say not only, that of identifying low risk trades with very high probability of success, within retraces. New objectives include the possibility to “frame” and ‘explain’ price structure? Typically when we think of Fibonacci retraces we think of trending market in counter-trend moves and of ways to enter the market as it resumes the move higher. But we rarely think about framing the sequence of price movements, the price structure resulting from the interactions of effects of players (humans and algorithms) on price in the different timeframes. The majority of people dismiss the idea that price could be “explained” somehow and to a certain extent. However modern market structure with a strong participation of algorithmic trading, that in certain markets is responsible for over 80% of the overall volume, offers opportunities to do just that. In fact, there are methods that allow to identify what I call the “algorithmic trading footprints”, the levels and areas of participation from algorithms and professionals, on the upside or the downside, in major markets. It is also possible, due to the presence of algorithmic trading on the smaller timeframes, to confirm the presence and activity of the big players (the smart money of the Bandwagon Theory) and their commitment around the areas of support or resistance. In the second part of the paper I show how, using methods based on the observation of price behavior in presence of program trading – an important class of algorithmic trading – it is possible not only to solve most of the issues and problems related to the traditional use of the Fibonacci levels and retraces in the modern markets, but also to enable enhanced and precise timing and technique that allow to obtain risk-free trades with very high probability. These methods also enable price discovery, when key levels watched by algos are violated. Methods grounded in the observation of price behavior in presence of algorithms include, for example, the FibStalker method and the FibStalking timing technique are not theoretical models but rather practical and effective trading methods that allow to pinpoint entry areas, entry levels, stop and profits with uncanny, consistent precision. The research paper featured in the article is the third after a paper on Money Management and its linkages to trading goals (2012) and an analysis of the Effects of HFT (High Frequency Trading) on price and Program Trading (2013). If you want to learn more about my research, check the “EBook and Papers” page on my blog and watch the videos in the Video Analysis & Forecast section.